Installed with 1.5 KVA static inverter and a battery management system. This yacht traveled the length of the Mediterranean in safety and comfort. Equipped with a wind generator and solar panels she can remain at sea or on the hook for extended periods. The yacht looks in good condition. The present owner has had her for almost 4 years and has now reluctantly put her up for sail. In the last two years he has made numerous improvements which he has documented. 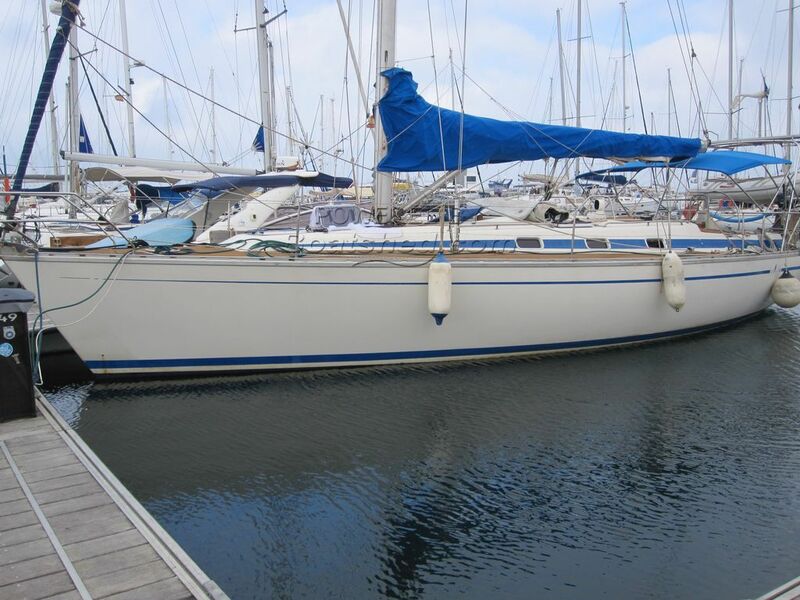 Not many of these Bavaria 410 Caribic were built. The hull is certified by Germanisher Lloyds and the construction standards are of a better quality than those found on later boats. This Bavaria 410 Caribic has been personally photographed and viewed by Andrew of Boatshed Gibraltar. Click here for contact details.